How do you discover parts of yourself that perhaps you never knew about? Hidden characteristics, passions, qualities and often talents that once illuminated begin to transform your life. Often times we simply age and mature on our own accord while other times we run across some sort of catalyst that comes into our lives and speeds the process up a couple light years or so. For the past 30 years KG Stiles of Ashland has worked in the field of healing as both a hands on healer, body worker, and intuitive counselor specializing in aroma therapy and astrological mapping. 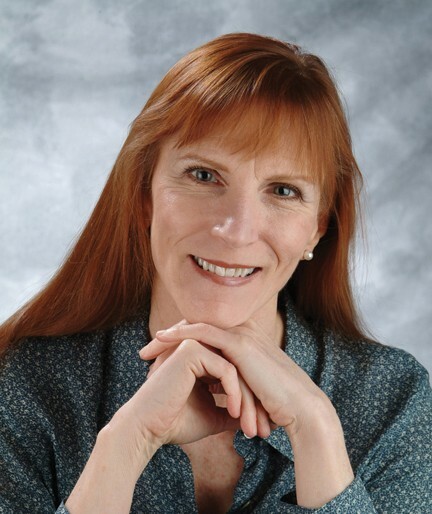 She has a BA degree in Philosophy from the University of North Carolina at Wilmington, is a graduate of Mueller College of Holistic Studies & the International Professional School of Bodywork, has Advanced Certification from The Bowen Therapy Academy of Australia and in the BodyTalk System of energy medicine, as well as training in numerous other healing arts and metaphysical modalities. She began her professional practice in 1980 and has assisted tens of thousands of people to live better, healthier and more fulfilled lives. I had an opportunity to sit down with KG and to ask her about the work she is doing and how exactly it is helping people all around the world. KG, thanks so much for speaking with us today. To begin with, let’s talk to us about healing. We hear this word quite frequently (Especially in Ashland) and I’m not always certain what the deeper implications of the it’s use might be? Thanks for inviting me to have a soulful conversation with you, Shields. I hope what I have to share will be useful in some way to your readers. The word heal comes from the Indo-European root “to make whole” and means to “restore to a state of integrity.” It’s been my experience as a healing arts practitioner that, at the level of our authentic and essential selves, we humans are completely whole and perfect. From an early age, even in utero before birth, as a process of adaptation and survival we begin to absorb and be conditioned by the attitudes and beliefs of our caretakers and our environment. Cellular biologist Dr. Bruce Lipton writes about this in his book The Biology of Belief how humans express certain genetic capacities according to their environmental conditioning. Given the optimal environment we activate the “higher” expression of our genetic make-up and turn-off the expression of our “less desirable” genetic make-up. Frequency of repetition activates expression of a particular genetic pattern for health and well-being or dis-ease. So, what is healing? Healing is the restoration and expression of our authentic wholeness and the releasing of any conditioned reactive patterns that may block expression of our inherent well-being at all levels: body, mind, spirit and emotions. How does the work you do allow people to get more in touch with an authenticity that might otherwise be evading oneself? As the major premise for my work is that people are inherently whole and perfect in their authentic blueprint or Divine essence, my greatest role as a healing arts practitioner is to serve as a witness to this truth. This means I open to completely embracing and accepting a client with no judgment about their “seeming” incongruities and the life condition(s) they may be experiencing. I perceive the truth of their essential being, as well as the blocks, or mis-perceptions that may be preventing them from realizing their inherent well-being and highest Divine potential. People can psychically feel when we accept them and this assists them to open up and experience self acceptance and their own inherent wholeness for themselves. People then can choose to begin to let go of entanglements with past disappointments, old stories, guilt, blame, shame and old repeating patterns of behavior and become aware of how they are creating unwanted results in their lives, as well as how to consciously create desired results. Healing is a very natural process that entails a learning curve of self revelation that is of course unique and individual to everyone. Once you shift to accepting the authentic blueprint of your Self as whole and inherently perfect the rest is a natural process of realization in which you allow the “false” identifications adopted by the conditioned, lower egoic mind to fall away. Restoration and healing first occurs at the psycho-emotional and energetic levels and though profound this can be subtle for many people depending upon their level of sensitivity. During this time on earth our subtle “intuitive” senses are awakening and we’re becoming more aware. We’re learning how to shift our intention and focus at the level of consciousness to make changes in ourselves and in our external world. This is energy medicine at work in its very essence for transforming and healing our mind and body and evolving our consciousness. Once people shift to the realization that they are already whole and perfect the restoration and healing occurs naturally. For many of us, including myself, this is a life long practice of developing our intention for choosing where we put our attention and focus for creating our desired results. It’s an energy based, “soular” powered world we are in the process of birthing during this shift from the Piscean to the Aquarian age. A quickening is occurring as we birth this new age and our relationship to time in undergoing a profound shift. I’ve had a meditation practice for many years and have found this to be the most helpful support for cultivating Self awareness and evolving consciousness as it strengthens the observer self and calms the mind. Growing up in general is a process of reflection and becoming. How does having a witness or catalyst in one’s life allow someone to perhaps age more gracefully, and or accept and become a part of the process better? A witness serves to help you shift how you see yourself. Your self perception is the key for creating longevity and maturing gracefully. When we are mirrored in a healthy way we learn that we are loveable and learn to believe in our inherent goodness. Hopefully we receive this healthy mirroring during our early childhood development. If we do not we may become blocked and arrested in our full healthy self expression which is a common occurrence in modern day society. Our chakra energy system perfectly mirrors our childhood development. A blocked chakra means that there is a tendency to channel your energies through a particular plane of consciousness whether in chronic excess or closed in avoidance; either type of block results in a conditioned pattern of re-action that creates imbalance in the flow of prana (life force energy), and chronic conditions of dis-ease. A closed chakra represents a chronic pattern of avoidance of certain energies and life experiences. An excessively open chakra results in a chronic fixation, i.e. addictions on a certain plane of experience. As we take responsibility for our choices we begin to realize that we are the powerful authority and creator of our own life experiences. This is also the power of healing. We learn to trust and believe in our inherent power to heal and be whole. Victims do not heal. Talk to us about the different kinds of work that you do and the different levels of healing they bring to the client? I work holistically with people. I see people as an integrated whole system, subtle and energetic, as well as physical and tangible. My greatest skill is to listen deeply, I observe patterns and see the symbolic at work in people’s lives. I incorporate many healing and metaphysical modalities depending upon the individual needs. At this time I work by Skype and phone with clients all over the world. I’ve retired from hands-on healing. I discovered that a client has a more profound result from treatment when I am not in their physical presence. The physical can be a distraction from my seeing the symbolic at work. There’s a risk of getting entangled in a client’s story and the appearance of their life circumstances. Rather I prefer to work with the voice and energetic presence of a person by Skype or phone. Everything is more immediate and distractions from the truth fall away. I like to get to the heart of the matter quickly and access the pertinent information available with as little conversation or story as possible. Most people who don’t respond to treatment and heal have become identified with their circumstance or condition. They’ve really bought into their story and want to go on and on activating their old story thinking this will provide a way out or some sort of resolution for them. They make powerful “I AM” statements in which they are their symptom(s). However, activating a story over and over again just makes the pattern stronger and more resistant to change. So, I’m not interested in hearing the same old story, most often the repeating story is one of victimization and blame. I see symptoms as a gateway or entry point for beginning a dialogue with the subconscious mind. The “story” or “symptom” provides a symbolic representation of the metaphysical dilemma needing resolution within a person’s psyche, so that healing can occur. In my healing arts practice I incorporate a wide variety of various energy medicine modalities, as well as metaphysical tools to access information and promote healing. I don’t heal anybody. Healing is a gift we all have within each and every one of us. Remove the blocks to the life flow and healing naturally occurs. Two of the most accurate metaphysical tools I like to use are a person’s astrology chart and their numerology active at birth, including their birth name each of which can provide important information about the soul’s energetic blueprint that needs to be unlocked, as well as keys to personal transformation and healing, including insights into ancestral lineage and collective soul patterns. Your natal astrology chart, planetary transits and progressions are a map of your soul’s journey and your perfect guide to experiencing happiness and success in life. It provides you with a map of the territory for attaining self mastery and navigating with grace and ease through your life. Your chart reveals the timing of events, so you can be in the right place at the right time, meet the right people, and make the most of every opportunity. Your chart is your window into understanding your Divine life purpose, the challenges you’ll need to face in this life, weak character traits you’ll need to overcome, when to persevere, when to take action and move forward, and when to let go and move on. Working with dream symbols, the I-Ching, as well as other metaphysical tools can also be helpful for engaging and working with your life from the level of soul. How do you see the process of self acceptance and self love with regards to the work you do? Self acceptance and self love are fundamental and absolutely integral to the process of transformation of consciousness and healing. Self forgiveness is the main challenge to our self love and acceptance. Blockages of guilt, shame and blame at the level of the first, second and third chakras are endemic to all of the thousands of people I have worked with through the years no matter their culture or country of origin. I host a weekly 11:11 Intention Meditation, an event whose focus is the transformation and healing of our individual consciousness through the experience of Divine love. The meditations are focused at the area of our universal heart (8th chakra) the chakra gateway point connecting us into our soul energy field and with the universal heart of the Divine and Blessed Mother which is referred to cross culturally by many other names as well. You can learn more about the 11:11 Intention Meditations on my website. You can also download a free podcast of my version of the Hawaiian Ho’oponopono Forgiveness Meditation. Ho’oponopono means to “make right” and is the Hawaiian for forgiveness. Ho’oponopono restores your light or energy body and your e-motion, or energy in motion. Through your light body you are connected with all of life. Through your e-motion you are always affecting everyone around you by your thoughts, words, feelings and actions. There are also free universal heart meditation podcasts available you can download by sound healing pioneer and recording artist Jonathan Goldman and Dr Jude Currivan, author of The 8th Chakra. We will be hosting upcoming world meditation events and you can subscribe to our community newsletter for updates and announcements. You can also access free audio downloads of my podcast show Conversations to Enlighten and Heal and my CBS radio show Transform and Heal Your Life. Featured guests include, Dr. Bruce Lipton author Biology of Belief, Dr. Raymond Moody author Life After Life, Dr. Norm Shealy co-author with Caroline Myss The Science of Medical Intuition, Dr. Judith Orloff author Emotional Freedom, Dr. Eldon Taylor author Choices and Illusions, Dr. Doris E. Cohen author Repetition and many others. How have been some key catalysts in your life? There are so many people who have influenced my development both in early childhood through young adulthood and into maturity. It can be the tiniest thing that can transform us for ever. When seen through the eyes of the soul beauty is in the smallest detail. From the level of soul what is small may have the greatest significance and impact and what is large may have little or no immediacy or impact on our evolution. So, with practice, one remains aware and present moment focused at all times. All of us have experienced how someone smiling at us at just the crucial moment can change the course of our life, or a look of scorn or ridicule can have a lasting and devastating affect. I was born with tonsillitis (my mom was a smoker) and at two weeks of age I contracted chicken pox from my brother (the pediatrician told my mom I would be immune), so at birth my path as a healer was activated. I can honestly say I never aspired to be a healer. It was just something natural to my way of being. I was always the one who made things better in my family. Many of us called to the path of healing have the wounded healer archetype active in our astrology chart. At six weeks until age five I began my early formative spiritual education. During the day I was enrolled in a nursery/pre-school with my godmother (who I thought was God’s mother) in the back of an Episcopal church. Miss Florence had been a missionary in Africa and after returning to the U.S. opened a communal school for children with a focus on instilling spiritual values, not religion per se though we certainly learned that Jesus and Mother Mary were our friends and protectors. Miss Florence also had a direct experience of angels and nature spirits or fairies and I was encouraged to commune with these wonderful spirit guides and teachers. Has there every been a certain book or place that has changed how you see and interact within the world? When I was an under graduate philosophy major at UNC-Wilmington I assisted the department profs to gather research for lectures. One day I stumbled across the collected works of C.G. Jung in the campus library which forever changed my world and life direction. To me Jung was a phenomenal visionary and philosopher-alchemist understanding the landscape and language of the soul like no one before him. In 1975 I began analysis with a Jungian trained therapist and in 1976 visited the Jung Institute in Zurich. At this time I began studies in metaphysics and ventured into the psychic realm of dreams and the symbolic life of the soul, including archetypal intuitive astrology. During my early years as a professional social worker I discovered David Spangler’s Reflections on the Christ and immediately made plans to visit Findhorn in Northern Scotland where I was introduced to “transformational” healing arts after which I relocated to San Diego where I continued consciousness studies and began what is now more than 30 years of professional practice in energy healing, aromatherapy and mind body therapies. At that time San Diego was a Mecca for studying the transformational healing arts. It was during this time I was profoundly influenced by the work of Tony Robbins (master of neuro-linguistic programming/NLP) and Marianne Williamson’s teachings on A Course in Miracles. KG what were you like as a little girl vs who you are now? What magical elements have carried thru into your adult life, and how you see the world? As a child I loved the natural world and directly experienced the spiritual dimensions and devic kingdoms. I was extremely sensitive and empathic and readily absorbed my environment. I can recall asking a question and looking into my grandmother’s “magic” mirror and seeing the answers. I would check my answers out with the adults who were mystified and sometimes appalled by some of the “secrets.” I’d reveal. Since the adults seemed to strongly dislike my sharing my mystical experiences and intuitive insights I began to “closet” my psychic abilities out of fear of disapproval. When I was in the seventh grade I distinctly recall realizing that I had a habit of getting sick frequently to get attention. When I had this realization the light switch went on and I thought it was definitely not worth the trade off. I was not sick again for twenty years, until my early thirties when I was going through an emotionally turbulent time, a symbolic time of cleansing and release. As I’ve matured I’ve let go of my need for external approval and have realized the importance of living authentically and as an empowered human being. Cultivating my awareness has become my primary mission in life, loving and being loved, celebrating and enjoying life and making a useful contribution to our world. Time is our most valuable commodity and as we age we absolutely know there’s less of it. You have had a unique opportunity to watch thousands of people at pivotal change points in their lives. Will you talk a little bit about this? You also work extensively with aroma therapies, even have your own line of products. Talk about the cause and effect of the usage of such aromas on a person or in a particular space and time? The beauty of essential oils speaks directly to one’s soul. Each essential oil is a potent change agent for consciousness. Its alchemy resides in its phenomenal ability to catalyze transformation and healing at levels of our being. Essential oils are the distilled “soul” essence or signature blueprint of a plant. As such they are highly concentrated, a drop or two can produce significant results. These precious plant distillates are active nutrient resources within a plant and act like blood to protect it from bacterial and viral infections, cleansing breaks in its tissue and delivering oxygen and nutrients to its cells.Essential oils are highly aromatic and therefore, many of their benefits can be obtained simply by inhaling their aromatic scent. Aroma acts directly to affect changes through our electro-chemical (hormonal) system, as well as directly through our lungs where it enters our blood stream to reach all the organs and systems of our body. The use of plants and herbs is the oldest form of healing disease and pain, and the medicinal properties of plants have been recorded in the oldest writings in history, in myth, and folklore. According to ancient Egyptian hieroglyphics and Chinese manuscripts, priests and physicians were using essential oils thousands of years before Christ to heal the sick. In ancient times they were considered more valuable than gold. There are numerous references to oils in the Bible, yet only now is science beginning to investigate the incredible healing substances found in essential oils. Virtually everything used today in modern drugs can be traced back to a botanical extract. Hippocrates said that there is a remedy for everything to be found in Nature. Modern scientific research has proven that essential oils have remarkable medicinal properties. Pure essential oils are now being used successfully in hospitals and medical centers throughout the USA and around the globe. Aromatherapy is a safe, natural, inexpensive and complementary form of healthcare. I’ve been a member of the Complementary Alternative Medicine (CAM) Team at Ashland Community Hospital (ACH) since 2007 and helped ACH transition to an integrated health care system that includes complementary healing traditions such as aromatherapy and caring touch. PLEASE NOTE: There are many cheap, synthetic copies of essential oils available, but these are not recommended for therapeutic use. Synthetic derivatives although much less expensive will never give you the desired results for therapeutic benefit and may even create adverse side effects. To achieve truly remarkable results for one’s health and well-being essential oils must be absolutely pure and unadulterated. What are your top three aromas? I love all of the oils, everyone is a friend and I have a direct personal relationship with each as a devic life force. Helichrysum is the most powerful healing and regenerative oil in aromatherapy and one of the strongest for relieving inflammation. Its ability to prevent swelling and inflammation and to accelerate the formation of new tissue is legendary.Anecdotal Research shows Helichrysum oil’s notable anti-hematoma and skin regenerating activity is superior to any other essential oils. Excellent for treating energetic blockage and e-motional stagnation in the lower chakras and heart chakra; may be helpful for relieving heartache and old emotional traumas. I specialize in formulating custom synergistic blends to support a healthy lifestyle, including aromatherapy sprays to enhance the ambiance of a room, as well as blends for specific health conditions, psycho-emotional balance, chakra oils, pain relief and more. Each custom crafted aromatherapy formulation is charged with select healing gems and crystals which serve to stabilize the oil’s volatility, as well as the Gayatri Mantra, an ancient healing mantra considered by many to be the supreme healing mantra and one of the most powerful mantras for spiritual healing and evolutionary growth. Chanting the Gayatri Mantra is said to remove all obstacles in your path, and increases wisdom, spiritual insight and growth. Locally PurePlant Essentials organic aromatherapy products may be purchased at Soundpeace and Shop N’ Kart, as well as through my online store. There is a wealth of free educational support information about each of the single pure essential oils and formulas also available on my website. KG, what are some of the benefits that an person gains when having astrological work – not sure of the proper term done by you? Your astrology chart is your map to happiness guidelines. It has all the cycles of your life, when to to do what, what’s supported when, timing is everything. It shows your blocks, challenges, character traits both weak and strong, and your contracts with others. It helps you to shift your consciousness to soul from egoic mind personality level and helps develop your self concept in transdimensional terms rather than linear, just this one incarnation. It’s your window into yourself as an eternal being and the stages of your life are outlined perfectly. Accepts full and complete responsibility for themselves and their life experience. Willing to do whatever it takes to transform and heal their life. It’s been my experience that many people say they want healing, but are not willing to do what it takes. They don’t want the discomfort of their “symptom(s)” in their life, but are not willing to take corrective steps to change their results. You have lived and worked in Ashland since 1983 (almost 30 years). How has the work you have done within the community changed / evolved? When I moved to Ashland in 1983 people asked me what I did. As a transplant from the southern California culture the term used was, “I’m a bodyworker.” Invariably people would get a quizzical look on their face and ask,”You work on cars?” Today we probably have one of the highest number of bodyworkers and healing arts practitioners per capita than anywhere in the U.S., so we’ve come a long way. I’m glad to have been a part of the healing arts movement here in southern Oregon. Where can our readers learn more about your work and services? You can visit my website: www.kgstiles.com We’re launching a new website this May 2012 with community membership features, educational support and much more. I’d like to give especial recognition and thanks to my outstanding design team Chris Molé Design and web master Jeff Haug.